This category lists the Main Attractions of Thailand that we can take you to. They are not necessarily in any order other than the date that the article was written or updated. The most recently written or updated articles are most likely to appear at the top. With each article we have included a brief description of the attraction and also a few images. 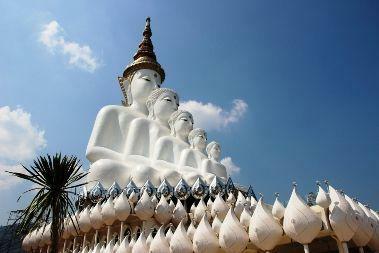 Any of these attractions can be added to your custom tour of Thailand. If you have been to any of the places that we have listed, please feel free to add your experience to the comments on any attraction. This will allow other readers to benefit from your insights. If you want us to create a custom tour just for you, please use our Request Price form so we can commence creating your very own Unique Thailand Tour. We also recommend visiting the Tourism Authority of Thailand website for additional ideas.